Description: Become a part of the highly lucrative hair extension industry! Earn higher than industry standard commissions (20%), plus help recruit a team of sales reps and earn a percentage of all their orders as well. This could be not only a new and exciting sales position, but a sustainable career. Earn monthly bonuses and of course, free hair! Sign up and join a nationwide network of hair enthusiasts! 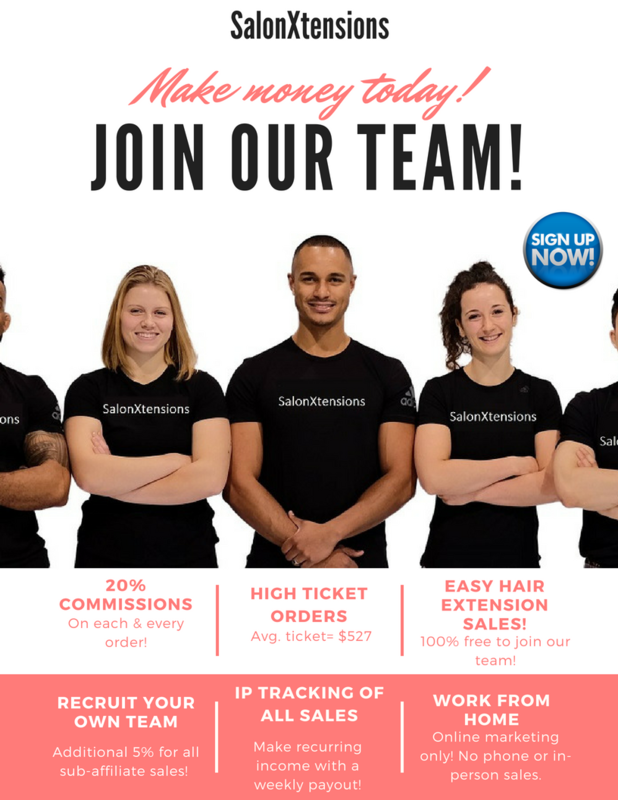 Welcome to Salon Xtensions!